Don't let the 1 bedroom fool you. Loft area very easily converted to 2nd bedroom. Or utilize garage for more sq. footage Gorgeous sunsets await you! 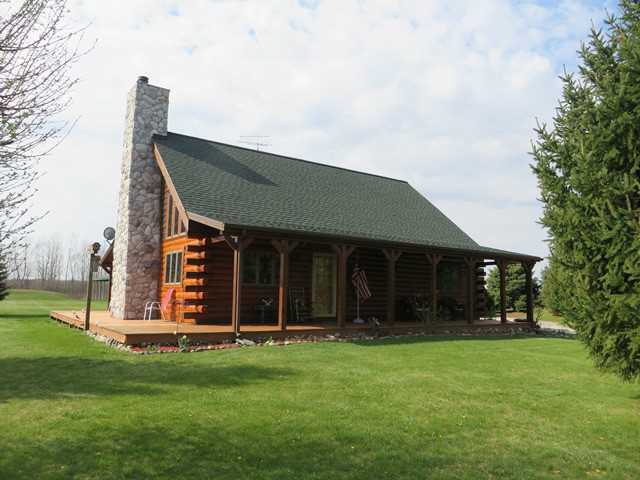 Mother nature made a perfect setting w/ 4 acres & a scenic pond & 32 x 60 pole barn. New roof '15. New dishwasher & quartz counters. Floor-to-ceiling stone FP in LR; Pole barn w/ 2 lg overhead doors & huge 2nd floor. Tri-County Electric.